Parents' 10 Least Useful Baby Products - Which? Don’t waste money on baby products you won’t use. Read our list to find out which products parents think they could actually do without. Parents-to-be often end up spending a lot of money on baby products that just get left in the cupboard gathering dust. We wanted to find out which are the worst offenders, so we asked 1,046 parents with children under the age of five about baby products they’d bought or been given but hadn’t found useful. That way, you can think twice before buying the same items. Of course, some parents do find these products useful, but it’s worth carefully considering whether or not they are right for you before you buy. 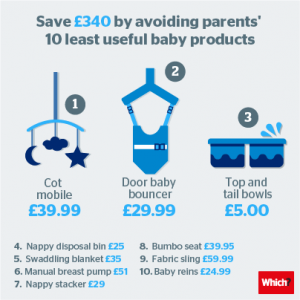 We’ve calculated that avoiding these products could save you more than £400,* for which price you could get a Best Buy pushchair or Best Buy car seat with more than £100 left over. And don’t feel you have to buy everything before your child is born. 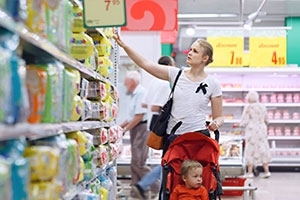 Often it’s better to wait and try out products with your baby to make sure you get the right ones. Take a look at our list of essential baby products for a round-up of the products you and your baby wouldn’t want to be without. Baby washing ‘top-and-tail’ bowls have two compartments to keep water and flannels separate when washing your baby’s top half and their bottom. They’re not particularly expensive – costing around £3 to £10 – but two small plastic bowls would do just as well, although make sure you haven’t used anything harmful in them before. Door baby bouncers come with a plastic or fabric seat, and usually cost between £20 and £30. Although some babies love the sensation of bouncing up and down, our parents’ ratings show they’re clearly not for everyone. Baby bouncer chairs, on the other hand, are much more popular and feature in our list of top 10 most useful baby products. Find out what parents rate as the best baby bouncer brands. Bumbo seats are designed for babies at the age when they can’t sit unsupported. They are made from a lightweight material which the manufacturer claims is fairly easy to wipe and clean. They usually cost between £30 and £40, depending on whether or not you decide to buy a ‘play tray’ to go with it. 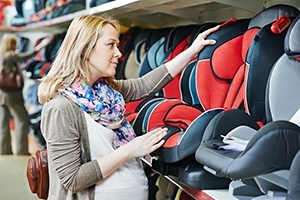 There have been some safety concerns in the past related to Bumbo seats, and a safety alert was issued in the US in 2012, following a number of babies being injured using them. If you decide to buy a Bumbo seat for your child, make sure you don’t place it on any high or uneven surfaces, always use the restraint belt and make sure you stay with your baby at all times. When you’re breastfeeding, a manual or electric breast pump can be handy, as it allows you to store breastmilk for later on so a partner or relative can feed your baby. However, not everyone will find them useful if they prefer to do straight breastfeeding, or opt for formula bottle feeding. Manual breast pumps range from around £10 to more than £80, depending on what accessories you get. Although manual breast pumps can be more tiring to use, they’re cheaper than electric ones, which cost around £40 to £120. But it’s also quite a personal choice – interestingly, electric breast pumps also appear in our top 10 least useful list at number 10. The manual breast pump scored an equal number of 'not useful' votes as the bumbo seat. If you’re thinking of getting a breast pump, our guides to electric breast pumps and manual breast pumps will help you decide. Once you’ve chosen the type, our breast pump reviews will help you find the best. 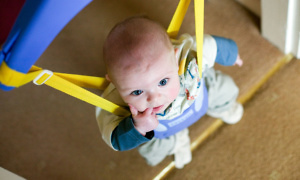 Cot mobiles can be handy if your baby is having trouble sleeping, as many of them play some kind of soothing music. Some parents like to use them to help settle their child in when moving from a moses basket to a full-sized cot or cot bed. However, many parents find them to be a hindrance rather than help. Because advice on getting your baby to sleep includes avoiding distractions and loud mobiles, fewer parents seem to be finding use for them in their nurseries. For advice on creating a safe sleeping environment for your baby and for tips on assembling your cot bed, read our guide on using cot beds safely. That's the first five of our products that it's not worth wasting your money on (according to parents). Intended for overactive little wanderers and parents’ peace of mind, baby reins can allow your little one to run around without you losing track of them. But, evidently, they’re not for everyone. This could be down to a matter of personal taste, your child’s personality and your parenting style. Nappy stackers are designed to be convenient and stylish holders in which to store your nappies. In reality, though, many parents we surveyed who had bought one didn’t find them very useful. Nappy stackers cost between £5 and £20. But most modern nappy boxes and bags are designed to dispense nappies one at a time in a tidy and convenient way – and it can be much less hassle just to take your nappies straight from the box. Air purifiers are used to remove particles such as dust, pet hair and pollen from the air. They can also remove airborne chemicals known as volatile organic compounds (VOCs) which can be released from a range of products including paint, cigarette smoke, varnishes, air fresheners and cleaning products. However, when it comes to baby products, the parents in our survey weren’t completely convinced by the need for an air purifier for their baby’s room, with 20% saying that it wasn’t a useful item. A cheaper alternative would probably be to vacuum your home regularly, stop smoking and use gentle cleaning products such as lemon juice and baking soda to wipe down any surfaces, rather than commercial chemicals ones. Bottle warmers are electric devices that will warm ready-to-use formula cartons or expressed breast milk so they’re a palatable temperature for your baby. They can often defrost or heat the milk straight from the fridge. However, many parents are happy to heat the milk by simply placing the bottle in a jug of hot water to heat it through. It might be slower, and a less exact science, but it’s certainly cheaper and won’t require any additional equipment. You could also find out if your baby is happy to drink unheated milk. Babies don’t actually need to have their milk warmed, and some are happy with room-temperature or cold milk, so this could be worth checking. While electric breast pumps tend to be faster than the manual versions, some of the parents in our survey felt it still wasn’t worth the money, particularly as they’re also more expensive. Electric breast pumps range in price from around £70 for a mini pump to £240 for a top-of-the-range dual electric breast pump. If you’re planning on feeding your baby with formula or breastfeeding, but then using formula in bottles (for example when you aren’t able to breastfeed, or when you’d like your partner to do the feed), then you’ll probably manage without buying an electric breast pump. In fact, it’s possible to rent a breast pump if you think you’re only going to use a breast pump occasionally. Find out parents rated the best manual and electric breast pump brands. In February 2017, Which? asked 1,046 parents of children aged five and under about the baby products they have used. We asked them to rate products on a scale of 1 to 5 from least useful to most useful. This excludes three core products: pushchairs, car seats and high chairs. *Total money saved by not buying the 10 least useful products was calculated on the basis of the average price of the products online at major parenting retailers, week commencing 9 October 2017. Top-and-tail bowl - £5; Nappy stacker - £10; Bouncer - £30; Reins - £15; Bumbo - £38; Air purifier - £100; Manual breast pump - £20; Bottle warmer - £30; Cot mobile - £25; Electric breast pump - £135.